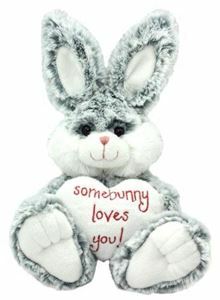 A gorgeous bunny that is holding a heart shaped cushion with the words "somebunny loves you!" written on it. He is 30cm of soft, silky fur and very lovable.